just bolt that up and slide the hammer hard, the assembly will come off. I think I need to talk to my mechanic friend to see if he has a recommended size draft pin. I've been using a a punch that's been leaving indentation on the bolts. Did you use a deep well socket to hammer the bolts or did you use a skinny? Below picture is courtesy of WaiJai. It includes everything I bought, just missing the axle nut. Nut is not required, but it's for my own piece of mind. 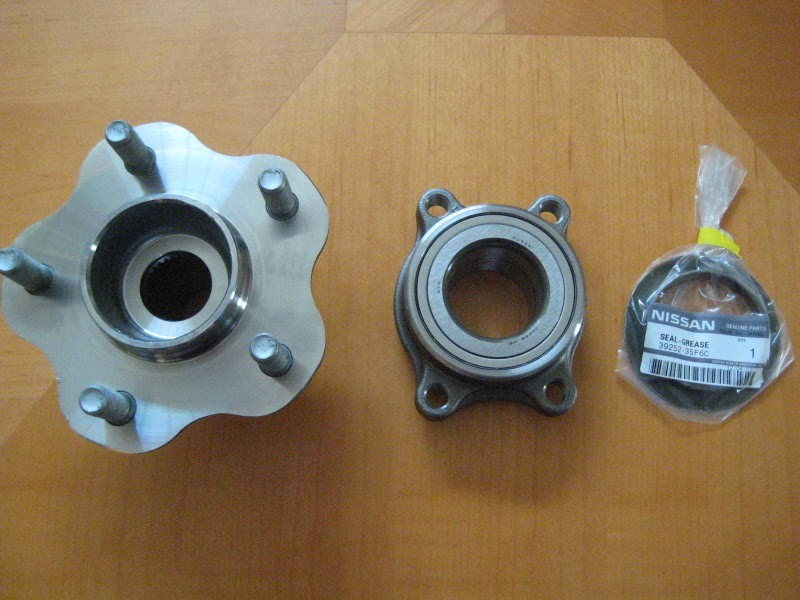 The hub assembly is also NOT required to replace the bearing, but again, it's for my own piece of mind. I was changing my rotors today and, I stripped one of the studs. I tried to put a new one in and, stripped the inside of the hub assembly. I've looked online for a new hub and bearing and it costs around 200 for the hub alone. Where did you find the Hub for 100 dollars? Just did half this job today on my car. I was able to pull out the whole assembly from the knuckle using a slide hammer. 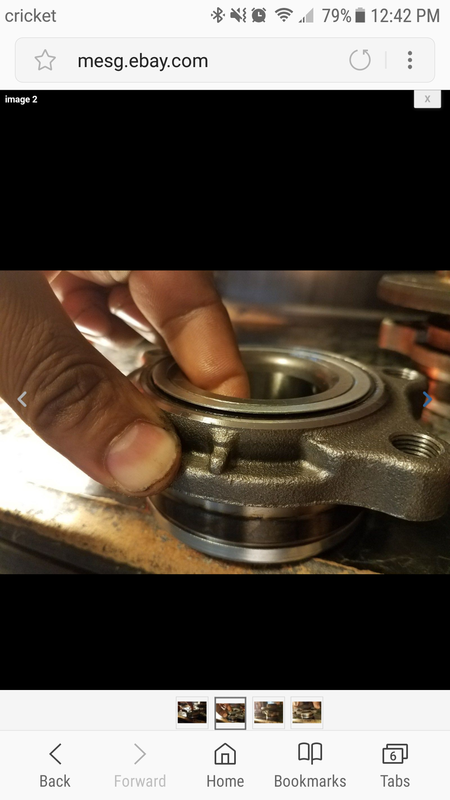 My hub and bearing was so fused though when I went to take it apart on my press the inner race was stuck. I ordered new hubs, because I would probably end up cutting into the hub with an angle grinder. I also took everything off including the e-brake hardware, so I could clean and grease all that stuff. Using my 1/2 inch Milwaukee with a universal swivel joint made getting those four bolts out from the hub real easy. I also took the axles out to clean up the rust and be able to grease them. I had to use a torch on one side, because the CV axle was fused to the flange. I was quoted 440 per side by my mechanic and I did these two for about 240 bucks including the press I had to buy (12 ton). did anyone here had this happen and is it normal for all wheel bearings? I just purchased an 05 coupe and I’d like to find a mechanic in Maryland who can do this job. I live in New Market but I will travel anywhere within an hour. Shop prices are are so high and it’d be great to find a local mechanic. I'm just up the road in Urbana. Hill's Garage is the most highly recommended shop in the area. If they're too far for you, Auto Clinic International in Frederick is the only local shop I trust. Difference between front wheel bearing parts?